God is Winning in Tijuana! I see God doing an amazing work in Tijuana, and it’s fun to be a part of it. There’s so much bad news in the world it’s refreshing to receive good news. The Lord has blessed me with some wonderful pastors to work with in Tijuana. Last week I was especially encouraged! On Sunday I preached at the church we helped start. Such a great group of people! The church responded well to my message. They blessed Dawn and me, and we felt we were able to love on and minister to them. God is using pastor Rodrigo and his wife, Nancy to build the church. Then on Monday Bill Yarbrough and I were able to be with Daniel Nuñez and all the pastors with Lo Mejor del Trigo (The Best of the Wheat). Bill spoke on Christ centered preaching, and they loved it. It’s wonderful to see the gospel influence the influencers of a church planting movement. Later in the week I met with some of the pastors that I’m coaching and encouraging in their ministries. I had a great time with pastor Abraham Velazquez. He shared with me how he is preaching the gospel in his church, and how God is using it in people’s lives. Some of the things Bill and I have shared with him he is passing on. Wow, that thrilled my heart to hear! I do believe God is winning in Tijuana! Abraham has a wonderful family. Dawn and I love Abraham and his wife, Martha. They are quickly becoming some of our favorite people in Tijuana. The Lord is doing an amazing work in their family and through their ministry at the church. 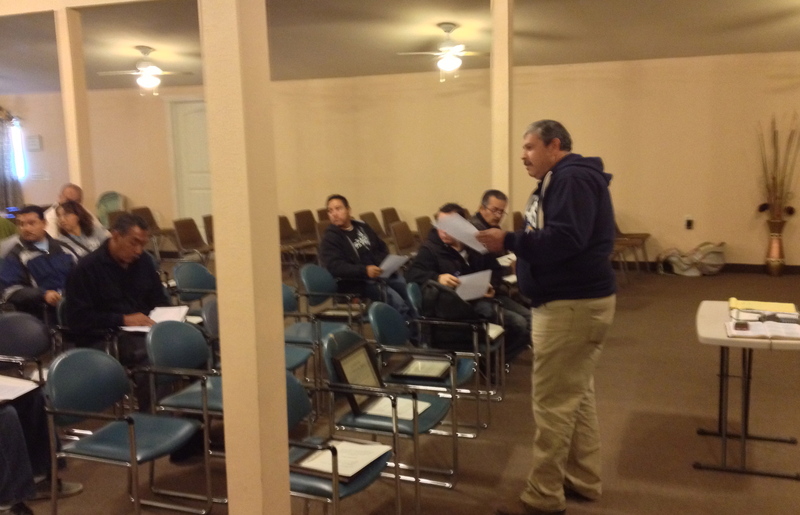 I praise the Lord that he is using our efforts to bring positive change in Tijuana. Thanks for standing with us on this journey of faith for Jesus!